How to install Ubuntu the way you've never done it before. I will tell you from the very start. This is neither my idea, nor my realisation. But I like it so much that I decided to share it with the wider public. Have you ever installed any GNU/Linux distribution? Have you ever installed Windows, say, 98? Have you noticed the difference? I think you know what I am talking about: the choice you have of installed components . While Windows installer allows you to choose the components you want to install, of course to a certain degree, I have not seen any Linux installers so far which give you the same level of choice. Unfortunately, most Linux installers only allow you to copy the contents of a distribution ISO image to the hard drive. Then you can do whatever you want: uninstall, re-install or add components. The reader and commenter of my blog under the nickname Psychorat decided to change the approach and created... the script. Yes, this is a script which guides you through selection of different components for Ubuntu, and then installs them. You could watch the development of the script as Psychorat commented under the Debian XFCE review. And now the results are published to the wider public. So, what do you need? Internet connection, CD or USB stick and some time. Grab a mini.iso image from official Ubuntu mirror and install a basic system without any extra packages. How much of resources does take Ubuntu after Psychorat's script? Enabling Sound : Unmute and raise the levels of the "Master" and "PCM" channels in your system audio mixer. Chromium Browser : In "Preferences" > "Personal Stuff", change the "Appearance" option to "Use GTK+ Theme" to match your desktop theme. I can't hear any sound. This might happen in some naked core installations.Please install more icon themes from the package manager or internet. Gtk apps look ugly and not integrated to Kde theme. You have to change the default gtk widget style to "oxygen-gtk" in > System settings > Application appearance > Gtk+ appearance. Gtk theme settings have no effect on gtk applications. Xfce panel Sound volume plugin. You have to enter in the configuration at least once, in order to auto-set the alsa channel and work properly. LXDM login manager problem : Annoying error message about wrong window manager. You have to change the session to "Enlightenment" instead of "Default", at Lxdm login screen. The Obconf extension for Lxappearance removed because does not show previews. You can always change your windows theme with the Openbox configuration manager. The gnome-alsamixer replaced with alsamixergui because of a lubuntu related bug that make it crash on start. (i know that alsamixergui is not "fit" to desktop theme, but its better than nothin' :) The other alternatives are not working either). And now my question to you: how do you like it? Is it the first step to the future of Linux installers? After some research I found the screenshot which proves my point about option to choose the components of installed Winsows Operating System. Unfortunately, the latest version I could find the screenshots for is Windows 98, but it still proves my point, doesn't it? If you read this blog for more than a year, you may know. Otherwise I tell you. It is my own Birthday today! All the congratulations and wishes are accepted! If you have enjoyed two interviews I made with women in Linux world before, I am sure you will love this one too. I'll not talk too much in the beginning. Let me introduce my today's guest: Katherine Noyes. DarkDuck: Hello, Katherine. I am sure most of readers of my blog know who you are. But anyway, could you please introduce yourself. Some Linux distributions try to find their own way in arrangement of the user desktop. Take, for example, Ubuntu with Unity. Whatever is your opinion about this Desktop Environment, you can’t deny that it brought some fresh ideas as to how to organize the user’s desktop. At the other pole are Linux distros which intentionally adjust their look to something familiar to users of other operating systems, being it Windows or Mac. Zorin OS is one of those. The intent of such distros is to smooth the transition for users wishing to migrate from Windows to Linux. Zorin OS exists in several options. Some of them are not free-of-charge, but there are some, namely Core, Lite and Educational, which are free. This is not my first approach to Zorin OS. I have already written about Zorin OS 4 before. I enjoyed the system, although it lacked stability that time. Did it improve? 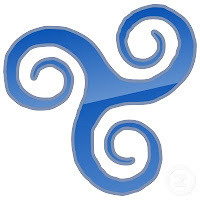 The latest version, ZorinOS 5.2, was released very recently, on the 10th of January 2012. I downloaded the Core version of it. The ISO size is 1.1 Gb. It meant I could not use a CD for it, and I went to the USB option. Unetbootin utility successfully "burnt" image to USB. It was time to try Zorin OS 5.2 in action on my Fujitsu-Siemens Amilo Pi 1505 laptop. Reboot. Choose to boot from USB. Let’s go! This blog is called Linux notes from DarkDuck. 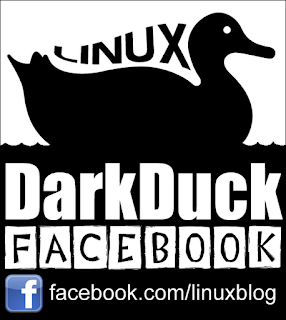 As you may think from the name, it is dedicated to anything about Linux. And I write about using Linux-based operating systems on desktop from the point of view of regular user. But from time to time I make exceptions. Today is one of these days. I will not tell you about Linux, but rather about an operating system quite close to GNU/Linux. It is BSD-based operating system DragonFlyBSD. This operating system is a community supported distribution, initially forked from FreeBSD 4.8. 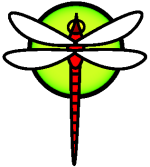 The current release of DragonFlyBSD is 2.10.1 and it was announced in April 2011. There are 3 downloading options available for this stable release of DragonFlyBSD: CD, USB and GUI. I downloaded the last one, which offers to have a GUI on top of the operating system itself. The distribution comes as a 1.2 Gb bz2 archive which packs an .img file of 3.7 Gb. Basically, this saves you some time during the downloading. But, then you need to unpack the file on your local drive before using it. Generally speaking, this is not an issue since most modern archivers, both Windows- and Linux-based, support bz2 format. Once I got the .img file on my hard disk, I used command dd to “burn” it to my 8 Gb USB stick. So, the preparation steps are over. Let’s see what DragonFlyBSD has to offer. Reboot. Choose to boot my Fujitsu-Siemens Amilo Pi 1505 from USB. Let’s go! There are different general directions in GNU/Linux distribution development, taking into consideration the dilemma of free vs non-free software. Some developers don’t bother with this dilemma at all and include useful software in their distribution. Others do not turn off non-free software initially, but allow users to decide themselves. They place non-free and restricted software in separate repositories. And another stance is taken by developers who stick to free software only. The developers from this last group sometimes even get recognition from the Free Software Foundation, who include the distribution in the list of approved ones. I have written about several FSF-approved distributions already: Ututo, Dragora, dynebolic, Musix and so on. Today I will tell you about another free distribution: Trisquel. Trisquel is a GNU/Linux distribution with geographical roots in Spain. The project started off as localization of GNU/Linux for the Galician language, and later became more than just a local GNU/Linux distribution. Trisquel uses the kernel that is free from anything proprietary. This kernel is usually called “libre kernel”. The latest version of this GNU/Linux distribution is Trisquel 5.0 Dagda, released in September 2011. I downloaded the ISO image of Trisquel via torrent. I chose the image for Live run, which is 700Mb in size. There are different image options available, from 14 Mb netinstall to 3.7 Gb DVD with sources. There were no issues in creating Live USB with Trisquel using the Unetbootin utility. So, preparations are over. Reboot. Choose to boot from USB. Let’s go! I had heard of this Linux distribution a long time ago. Different readers who commented on my blog mentioned it. But I continued postponing a review of it all for a long time. The last time the Mepis name was dropped was during my interview with Geek-in-Pink who mentioned this distribution as her favourite. I made my way to the official site of Mepis to download it. There are several downloading options available. I used the most “community-oriented” one, i.e. torrent. Actually, what I downloaded was named SimplyMEPIS 11.0. This version was released in May 2011. The ISO image size is about 1.3 Gb, which makes it impossible to run it from CD. You need to either burn the ISO image onto a DVD or use a USB drive. Mepis is actually quite an old distribution. It was initially based on Debian, briefly flirted with Ubuntu, then finally settled on a combination of its own source code, a combination of Ubuntu and Debian, and enhanced by using the standard Debian Stable repositories. With its history and roots, it was not a surprise that Mepis was supported by Unetbootin utility. I successfully created a Live USB using Unetbootin. So, USB stick is in the port of my Fujitsu-Siemens Amilo Pi 1505 laptop. Reboot. Choose to boot from USB. Let’s go! It started recently when I bumped into this Larry's post. This persuaded me to think (one more time) about names of operating systems and applications in the world of Open Source. The post I linked above tells us that names are not always as good as they originally appear. And it gives at least 4 examples where developers needed to think twice before arriving at the current name. Actually, my idea is that examples in that post are better than many more which you can get in existing Linux distributions and programs. Let's take few more samples. Kubuntu. If I had not known that this distribution is based on KDE and Ubuntu (and many first-time Linux users may not know this! ), I would think that it has something to do with cubes or cube-oriented interfaces. Does it? No, it does not. Frustration is guaranteed. Lubuntu. I am Russian, and "lub.." in Russian language is the root in words "any" and "love". In analogy to the previous point, I am not sure if Russian users would understand the meaning of this name correctly. Comfusion. Sorry, I am confused at the very beginning. I repeat, I am talking exclusively about names here, not functionality and performance. Some of the names of distros themselves — and FOSS software, too — have names only a mother (and their developers) could love. Is there any solution? I did a little research and found a solution... It is in the general spirit of community-driven software, although it is not "free as beer". There is a site PickyDomains.com which allows you for relatively small fee to "crowdsource" the process of naming for your project, being it the creation of a site, or product name, or slogan, or some similar thing. How does it work? After registration, you create an order where you describe what your project is about, what you want to get as a result, and you give some technical limitations, like top level domain (.com, .co.au etc) or number of symbols. Creative users - contributors - start giving you ideas. Usually you get hundreds of them per order! You may like or dislike each suggestion. And finally sooner or later you come to the one which suits you best of all. Once you have made your selection (and not earlier than that! ), you make a payment to the site owner, which in turn shares part of the amount with the contributor. Deal! By the way, the contributor is any person who feels himself to be a confident and creative person. Even you! Yes, you, who read these lines! If you can offer names like SoftwareJudge.Com for the software review site or DeLogger.Com for the log analyzer project, you can try your skills in naming. Will an additional $20-30 per accepted work fit your pocket? Simple, isn't it? The project gets a proper name, the contributor gets some additional money and the site earns commissions. Win-win-win situation, if you like. And now I wonder... How many people in the Linux world will start using the service? Are you going to use it? Or maybe you already have the experience of using this or a similar resource in the past? I'd like to hear your opinion. Three simple steps to change page numbering style in OpenOffice.org and LibreOffice Writer. Some time ago I wrote an article, and then even recorded how-to videos about page numbering in different open source office text editors: OpenOffice Writer, KWord and AbiWord. And recently I received a comment on one of the videos, which persuaded me to come back to the theme. The question was about page numbering style. Most of us are used to seeing page numbers as Arabic numbers like 1-2-3-...-10-11-12 and so on. But what if you wanted to see numbering in Roman style: I-II-III-...-X-XI-XII? Is there any option? Honestly, I have not explored all three office suites, because the question was specifically about OpenOffice. However, LibreOffice is very close in functionality, so the advice below will work equally for this tool too. So, how to switch page numbering style in LibreOffice or OpenOffice.org Writer? The world of the UNIX system is very wide. There are many different flavours. Linux is just one of them. Honestly, though, it is the most popular and the most widely used. What is next? Probably BSD and its variations: FreeBSD, OpenBSD, NetBSD and their derivatives. Can you name any current UNIX operating systems? AIX? SCO-UNIX? HP-UX? These are UNIX-like operating systems from corporate monsters like IBM and Hewlett-Packard. Anything else? Let me help you: Minix. This is a Unix-based community-driven free (as beer and as freedom) operating system targeted to low-end laptops, embedded systems and alike. The Minix project is not new. In fact, the current system version is Minix 3. The latest stable version is Minix 3.1.8. But Minix 1 and 2 were considered as experimental and training ones. Now they take things seriously. How serious are they? That was a question I wanted answered. You can download Minix 3 as a bz2 archived ISO image. The archive itself is only 288 Mb, and the unpacked image is 385 Mb. Rather a small distribution, and it justifies its name. I tried to "burn" the ISO image to USB stick using Unetbootin, but without much luck. Obviously, Minix 3 is not supported by this useful tool. Then I burnt the ISO image to DVD-RW disk. So, the disk is in the optical drive of my Fujitsu-Siemens Amilo Pi 1505 laptop. Reboot. Choose to boot from DVD. Let's go! 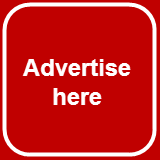 Did you want to place your ad on this site? Now you have an option! When I started a poll about a month ago, I did not know what the outcome would be. I mean the “Best XFCE-based distribution” poll. I had a vague vision that Xubuntu would come out somewhere near the top not only because *buntu is the most popular distribution family, but also because it is a really good distribution on its own. But I had no idea which system would share the leadership with Xubuntu. All the candidates were actually decent Operating Systems, each with points pro and con. Have you seen the results? If not, they are here. Xubuntu actually came to the top, followed by Linux Mint XFCE. Mint XFCE is the distribution I have written a lot about. Mostly about my love: how it rose and how it had fallen apart. I have already written about Debian a lot. Mostly about how to install it, not to install it and re-install it, based on my own experience. Yes, I do love Debian. But this love came through fire, water, and copper pipes. I have also written about Debian KDE Live. And I liked this distribution. Having the contest results in hand, I had no other choice but to give Debian XFCE a try. As usual, I prefer a Live version where possible. There is a Live Debian XFCE, as part of the Debian Live project. The ISO image of Debian XFCE Live weighs 835 MB. As in Debian KDE, there are 2 versions of the ISO available: one for CD and one for USB drives. I downloaded the second one, because the BIOS of my laptop Fujitsu-Siemens Amilo Pi 1505 does not support booting from CD ISOs on a USB stick. The latest release of Debian XFCE Live has the index 6.0.3 and was published on the 14th of October 2011. Once the image was downloaded, I dd'ed it to my 8 Gb USB stick. The flash drive is in the port. Reboot. Choose to boot from USB. Let's go!